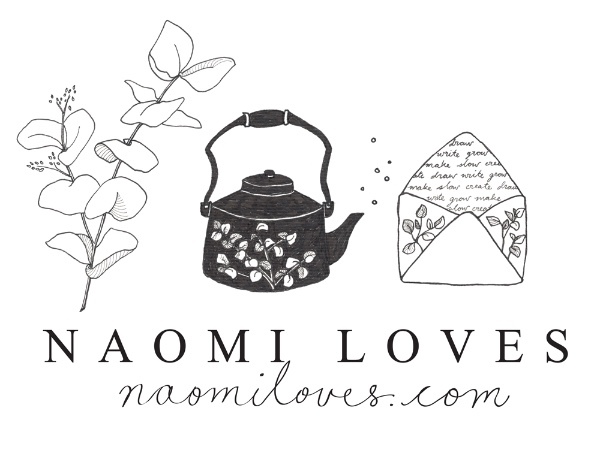 Subscribe to the Naomi Loves newsletter to be the first to hear about new projects, courses and products. You'll also find original hand-drawn mail-art templates, tips on making lovely mail, and other acts of kindness and slow living, sent to your inbox every month. You will also receive a free copy of my e-book, "Making Mail: 10 steps to writing letters that become keepsakes." Simply fill out the confidential form below. These emails are free, and you can unsubscribe any time.